A classic shirt is my go-to for most days at work. I am obsessed with pairing them with so many other items and love making them into completely different styles. 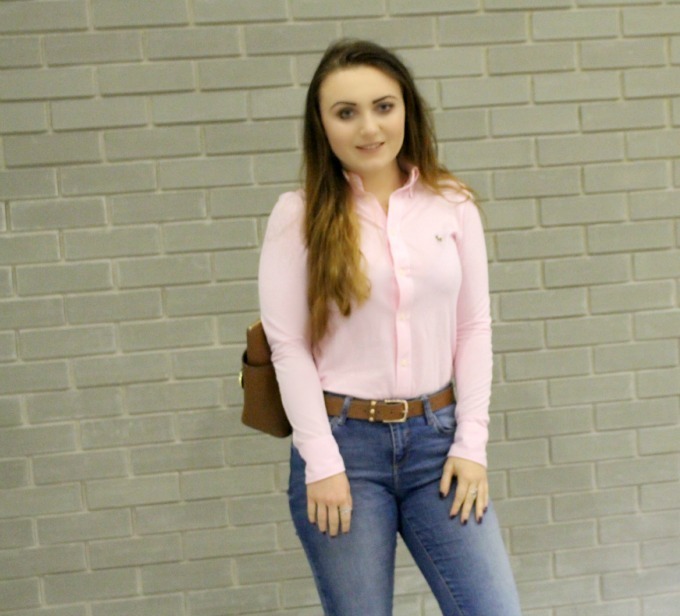 For this gorgeous Baby Pink Knit Oxford Shirt* from Ralph Lauren I really wanted to pair it with something easy to wear for everyday. I originally paired it with a pair of plain black leggings and really liked the look for an easy style however I definitely prefer the way that I have styled it with the brown accessories. 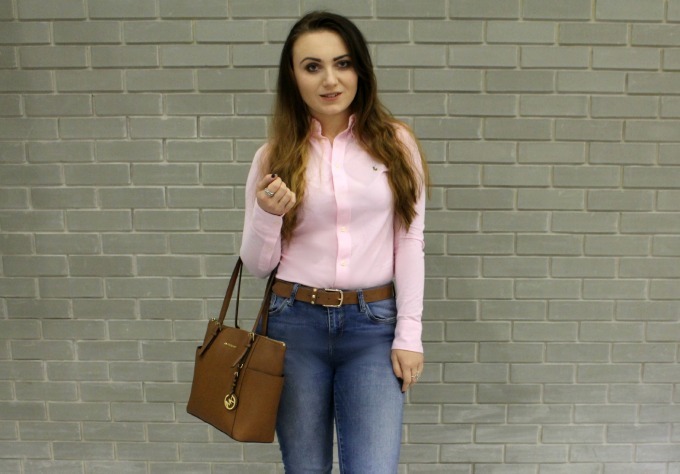 I really love the relaxed styling and just think you can’t beat a good shirt-jeans-brown boots combo, it’s the classic of all classic’s in my eyes! I also really like that this shirt is a ‘Knit Oxford’ which basically means it has the classic styling of an Oxford Shirt and the comfort of a Polo shirt. Honestly this is one of the comfiest shirts I’ve ever worn and unlike some of the other shirts I own it’s one that I never want to take off. 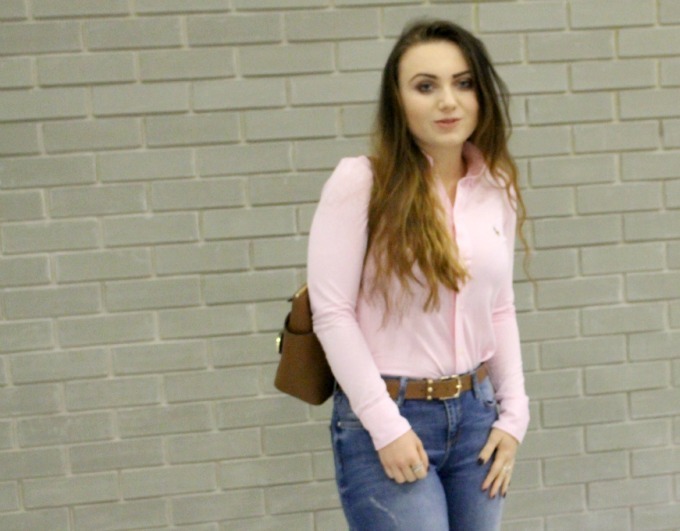 Ralph Lauren is a brand that I have loved for some time now, ever since I saw Rachel working for the brand on F.R.I.E.N.D.S many moons ago, it’s just been one of those iconic brands that I’ve always wanted to have in my wardrobe. I have a few pieces from them now but I have to say that his shirt is definitely one of my favourites by far. So easy to style and just the comfiest thing ever! How would you style a shirt like this? Let me know in the comments, I’d love some more inspiration on how to change up my style with this one staple piece! * Please excuse the slightly blurry photos! This is EXACTLY how I would have styled it! Summer I may have paired it with light denim.